Add summer ready style to your look with this stunning wide bangle from Dyrberg Kern. 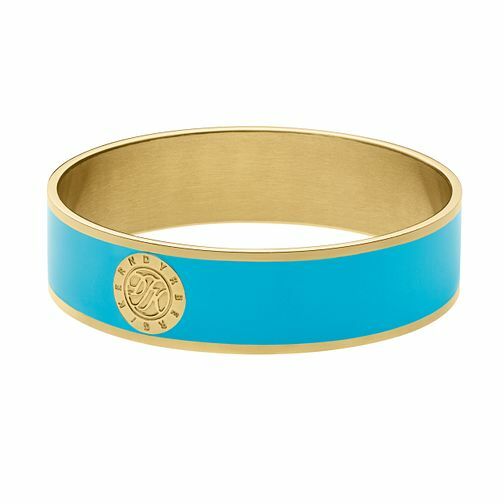 Featuring a central strip of vibrant turquoise blue enamel, this bangle has chic yellow gold plated edging and is finished with a central yellow gold plated Dyrberg Kern logo. Work the colour pop trend with Dyrberg Kern.